Create a mesmerizing splash of color in a kidfts room with the Tazzoni coverlet set. Itfts hand quilted with remarkable detail. 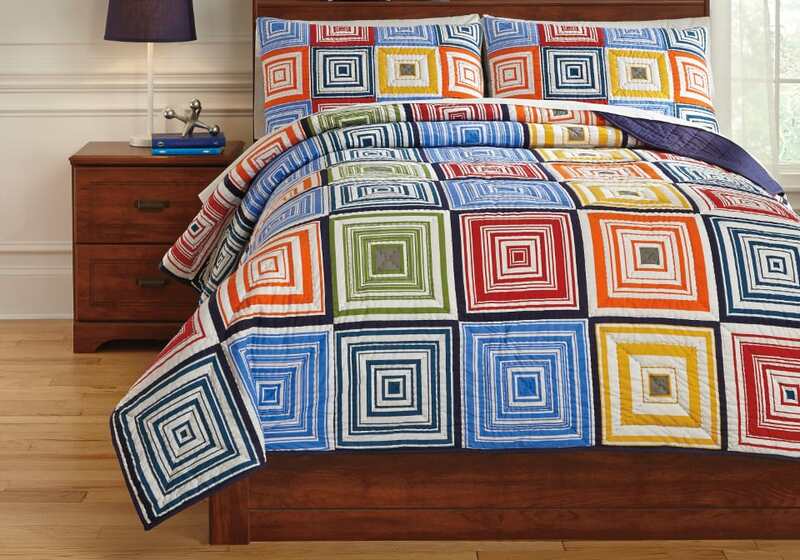 Alternating squares with multiple colors in a triangle stitched pattern make up the entire coverlet and pillow sham. Rest assured, the ultra-soft cotton is conveniently machine washable. 2-3 Piece Coverlet Set – Includes Coverlet and 2 Shams (1 in Twin). 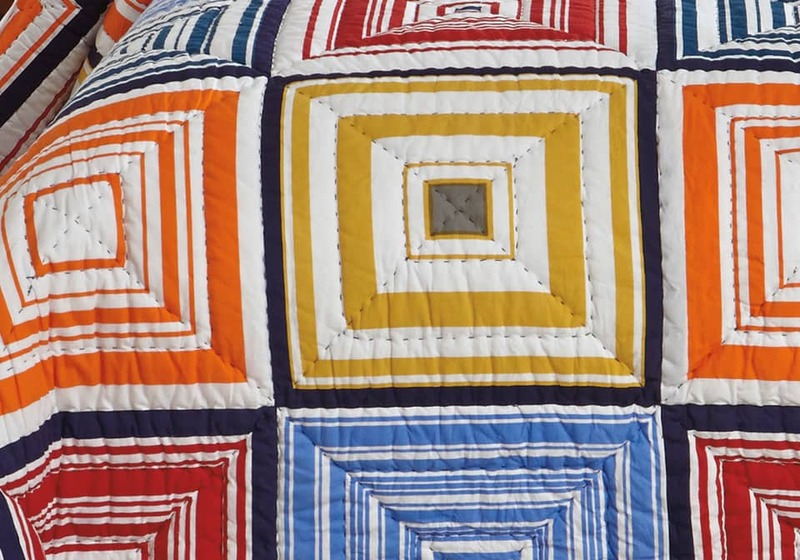 Hand Quilted Block Design in Multi Colors. 200 TC. Cotton with Cotton Filling. Machine Washable.